The new show apartment in Grade II* listed Eagle House demonstrates the undeniable attraction of contemporary living in a stunning period setting. Situated on the first floor of this Jacobean manor house, located in the heart of Wimbledon Village, the super-sized apartment, accessed by its own flight of polished timber stairs, has soaring stained glass and leaded light windows, an elaborate heraldic moulded plaster ceiling, and original fireplaces, all painstakingly renovated. 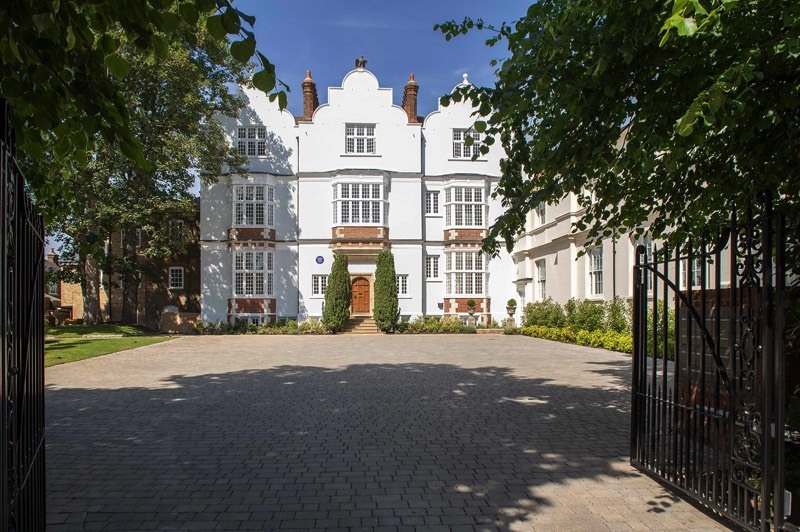 Eagle House was the second building to be erected in Wimbledon Village in the early 1600s and was originally a family country house commissioned by Robert Bell, the co-founder of the British East India Company. The house changed ownership and names several times over the centuries, briefly called Nelson, following Lord Nelson’s visit in 1805, and awarded a Blue Plaque as the home of Arthur Schopenhauer, German philosopher, who was educated there in 1803. In 1860, the then renowned Eagle House School took over the building, and the moniker and rooftop statue remained following the school’s departure and subsequent purchases and uses. The house has taken four years to renovate and convert by the award-winning Bespoke building team at Octagon. Overseen by English Heritage and Octagon Listed Home specialist Stephen Dunn, the handpicked team of craftsmen carefully restored all the existing fine period features, and converted the accommodation into eight individual homes, of which six are now remaining for sale. Through the original Jacobean oak front door, is the main entrance hall, a warm, welcoming space furnished and decorated in a country house hotel style, with scene stealers – the ornately carved oak original fireplace and a full-height stained glass window bay. A rear oak door in the hall leads onto a private courtyard garden which is formally planted and provides a pleasant outlook for residents as well as somewhere to enjoy outdoors in seclusion. Award-winning architects Michelis Boyd Associates were commissioned to create the internal spaces, with the brief to make them light filled, contemporary homes that sit comfortably with their Jacobean heritage. 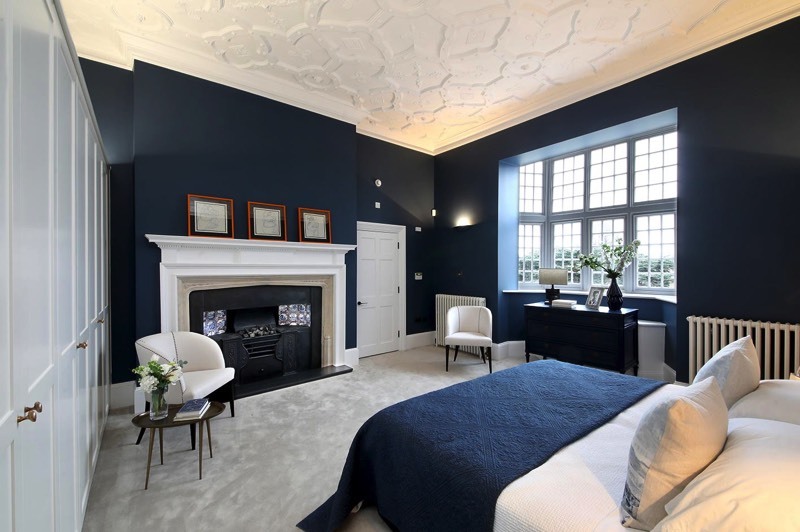 A full restoration of the fireplaces, staircases and oak panelling allow residents to enjoy period features in tandem with modern, high-tech living, with the latest home technology including a Control4 Audio System and integrated Heating & Comfort Cooling Controls. The Bulthaup kitchens feature bespoke white work surfaces and a range of integrated Miele appliances. One apartment also includes a private patio, whilst every resident will be able to enjoy the landscaped communal gardens to the front and rear of the property. Each home also includes allocation for two parking spaces in the forecourt. The setting is ideal for commuters, with numerous bus routes servicing the area, and Wimbledon mainline and underground stations less than a mile away – residents can reach London Waterloo in just 19 minutes by SW trains. Eagle House is within two miles of the A3 which provides access into and out of central London. The area is known for its great schooling, such as Wimbledon High School and Kings College School. The Rokeby School is a short drive away. Prices from £2.25m – with a share in the freehold. Viewings by appointment only – please contact Octagon on 020 8481 7500, or Knight Frank’s Wimbledon office on 020 8946 0026 to arrange. For more information, visit Octagon.co.uk.